This post belongs to a series about search engine optimization (SEO) with Magnolia CMS. Today we look at optimizing images. Great images enhance your site visually and enhance SEO rankings, provided they are properly optimized. Google and other search engines offer image-specific searches. A high rank in these searches increases your visibility. Search engines cannot read the content of images, and therefore must rely on accompanying text and tags. 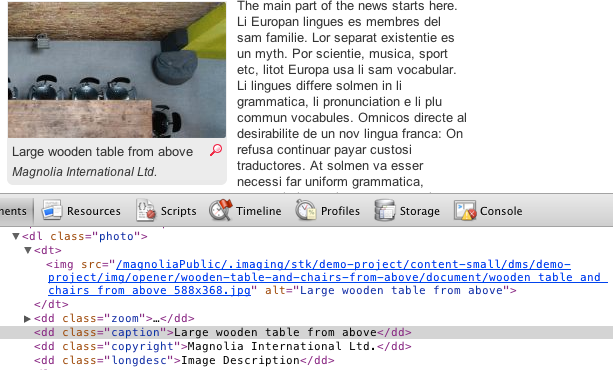 Image alt attributes with a short description of the image, for example. Keyword-rich image file names. yellow-roses.jpg is far more descriptive and relevant than img003.jpg. Size and quality optimized for quick loading. Crisp, sharp images look better in thumbnails displayed in search results, and are more likely to be linked to by other webmasters. Captions that aptly describe the image assist vision-impaired users. Width and height specified in the element. Many browsers render a page before images are downloaded. When dimensions are provided, other page elements wrap around them correctly, improving the initial user experience. At upload time, details such as image source, copyright, subject line and size are captured. 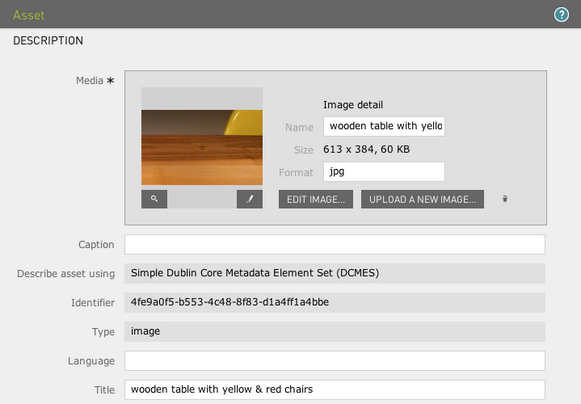 The fields provided for this purpose in the DMS are based on the Dublin Core Metadata Standard. If the original file name contains spaces, Magnolia replaces them with hyphens. In the event that an editor fails to include the information requested in the dialog, the source and subject-line are used as fallback. When inserting an image to a page, the information read from the DMS can be changed once again. If the fields are configured as mandatory, an editor cannot insert an image without providing suitable alt attribute and caption. This enforces best practice compliance. Magnolia Imaging module ensures that high-quality, web-optimized images are used uniformly throughout the site. The module generates multiple variants from a single source image, resulting in considerable time-savings for editors. Sizing and cropping happens automatically, based on CSS rules. Built-in filters that scale and crop images can also be used for effects such as text overlays, which allow crawlers to read image text. It is possible to configure a standard output format and resolution for all images, and control the behavior of images in each area of a template.